Oh yes, beats on the fly with the new and might add “Gorgeous” iPad 2 music case called the Akai MPC Fly pad controller. This is pure brilliance and this is a must have if you love your music. 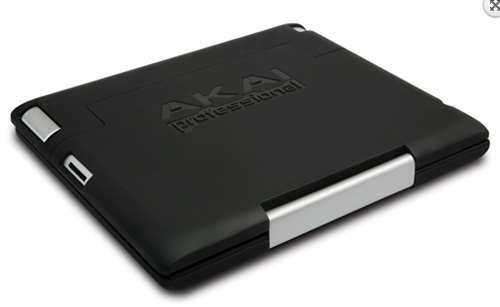 Akai Professional technology has been added to bring the MPC Fly to a whole new level that will give the Apple iPad 2 a lease of life. This case comes with real MPC pads, MPC Swing as well as MPC Note Repeat. 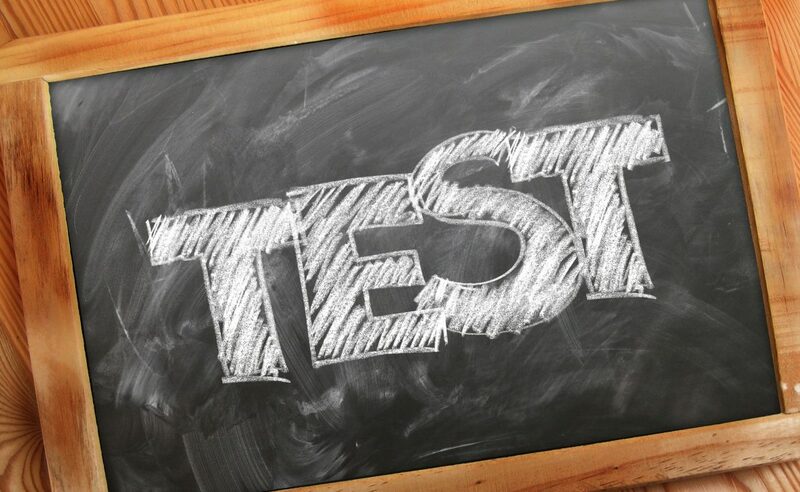 The case comes with a double-hinged design, that will not only protect your Apple iPad 2, but also houses the built-in MPC controller. The MPC Fly case itself features: Fitted compartment for iPad 2 provides fully integrated portable MPC solution, Works seamlessly with the MPC App that comes with effects/EQ/sample editing/sequence (more about app below), 16 backlit genuine MPC pads, MPC Note Repeat & MPC Swing, sits upright or flat, Built-in rechargeable lithium-ion battery and much more. The new Akai MPC Fly pad controller works well with the MPC Fly iPad App developed by Retronyms, main features of the application includes: Record and overdub sequences and create and edit your own Programs, four-track mixer built in, sound library of samples and drum kits, 16-Levels mode, manipulate attack, velocity, length, and tuning as you play, and more, and we much more. Please take a look at the images below, as well as the video we have included. 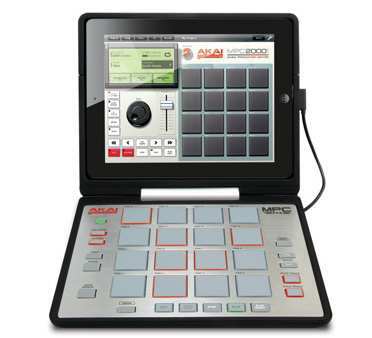 For more information about the Akai MPC Fly pad controller, please visit Akai Professional. We would like to say a big thanks to Electronista for the heads up, cheers guys.